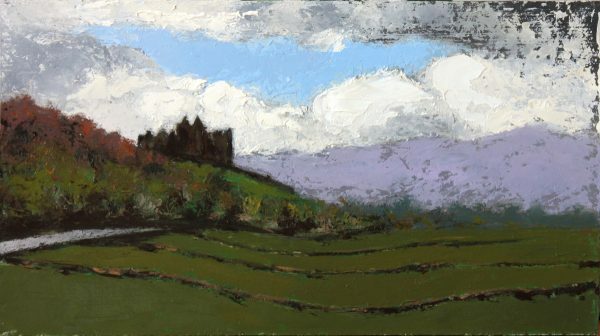 The first study of 13 I painted on my recent trip to Kerry. There was plenty of rainshowers. Bizarrely, I cut open my pinky finger on a palette knife quite badly . Thanks to Molly in Cashel for fixing up my gross finger.